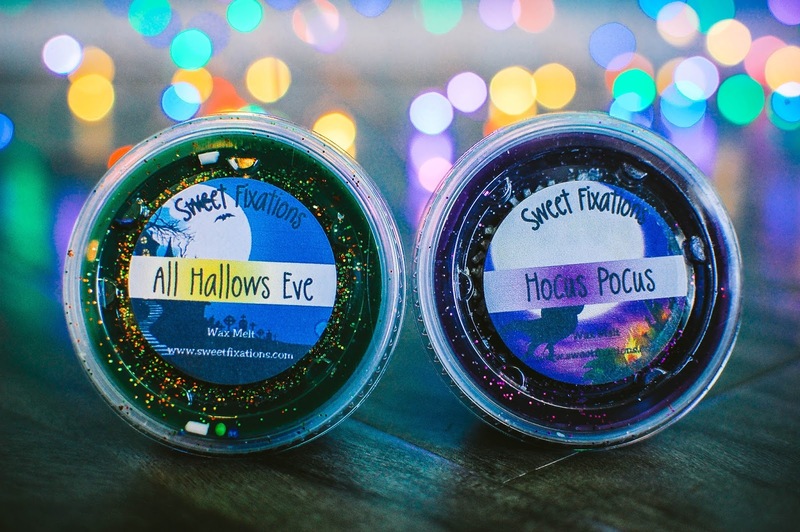 Sweet Fixations is a vendor I have not revisited in some time. Deb reminded of how much I enjoyed her Cozy Home scent recently when she made a tidy haul of her own. 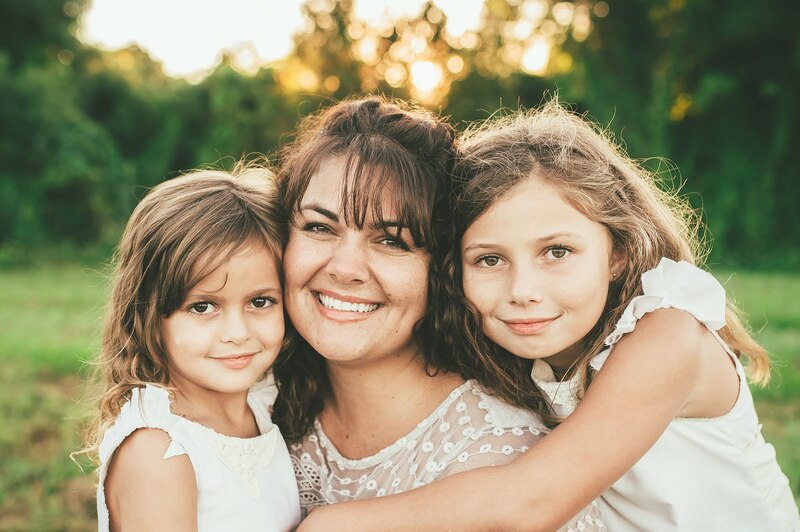 Tia, the owner of Sweet Fixations, does a fabulous job of branding. I love her colorful labels. She is usually open but has occasionally, in the past, closed for a few months for various reasons. She is open right now and offers a few different wax options. I went for the single scent shots for $1.75 each. They were all custom and not RTS (ready to ship) so they did take some time to create. Her TAT (turn around time) is currently 10 business days. These arrived in a bubble mailer and fared pretty well. I was invoiced my exact shipping when they were ready to be mailed. Pumpkin Pie Spice- Fiery cinnamon powder blended with mellow pumpkin. I look forward to melting this one. Pumpkin Souffle- Pumpkin and spices are mixed with a few pats of melted butter. The butter is lightly salted. The vanilla cream just a smidgen. A nice rich pumpkin scent. Harvest- Cinnamon, cloves, all that cozy fall spice with a background of bark, musk, and golden nectar and light apple cider. A Yankee dupe and a very good one. Hayride- Fresh earth, red and orange leaves and aromatic cedarwood. A touch of sweetness is in there, maybe from a vanilla amber note. I really, really love this. 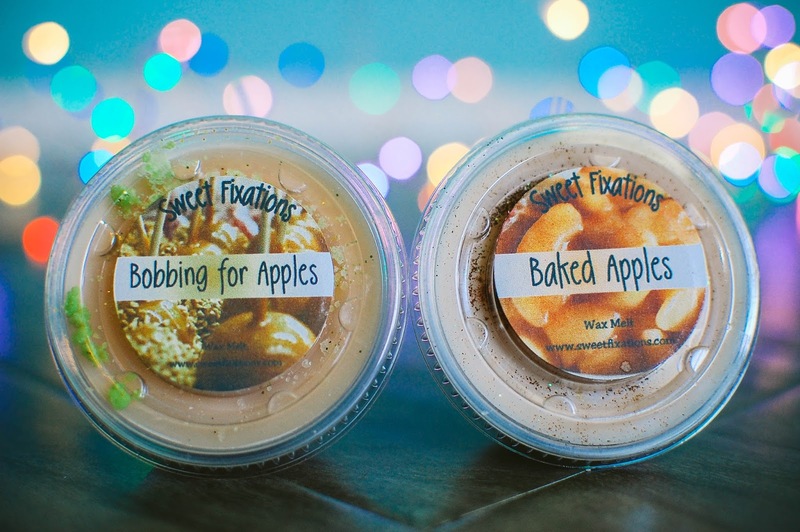 Bobbing for Apples- Blending toffee, apples and caramel, this one is delicious. A yummy classic caramel apple that gets stuck in your teeth. Baked Apples- Apples and spice but smoothed and lightened with a dash of vanilla extract. Homey. 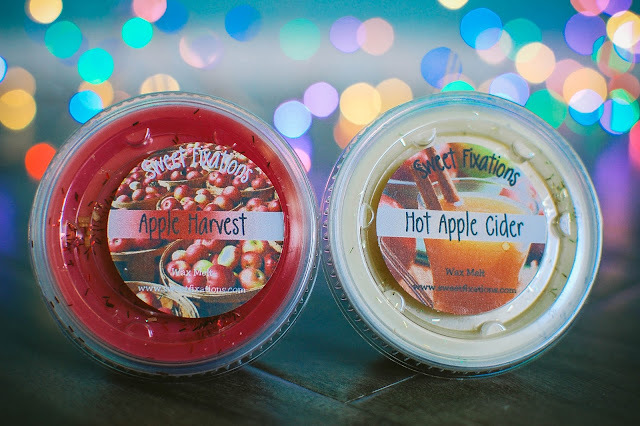 Apple Harvest- Apples, fruits and spice all mulled together. Unfortunately, there is a note in here I just cannot do. It smells like acrid ammonia. So which one do I decide to melt first? This one of course. The ammonia scent transformed into a strange cherry scent that I did not really care for either but eventually simmered down into a sweet Macintosh apple. The throw was medium in my bedroom. Hot Apple Cider- Traditional cup of steaming hot apple cider, mulled with nutmeg, clove stars and cinnamon bark. There is a nice slight woody undertone. Mouthwatering. Cozy Home- I loved this scent in the past and knew I needed it again. A classic country home or country gift store scent. Dried apple slices in a bowl of potpourri garnished with cinnamon sticks. 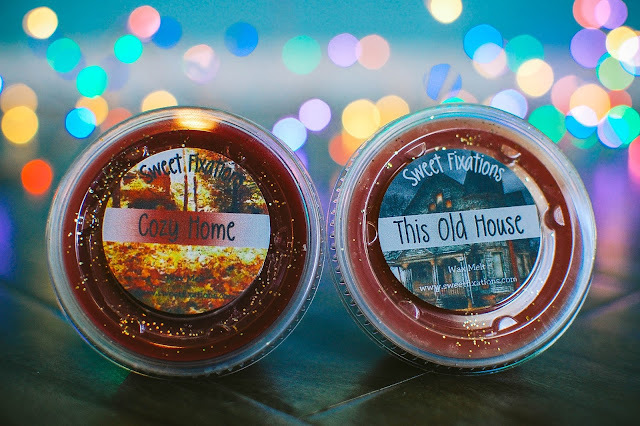 This Old House- Similar to Cozy Home but with a hefty dose of vanilla added. Threw medium in my kitchen area and gave off a smooth, dusky scent of old cinnamon and cozy warmth and creaminess. 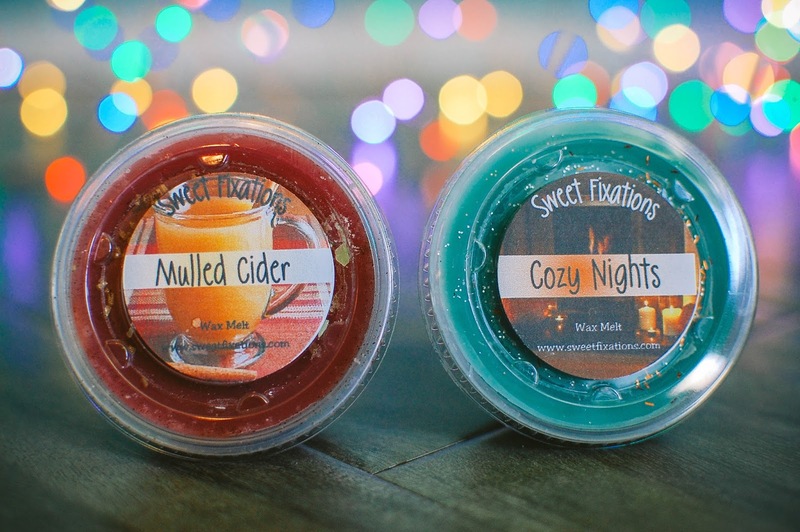 Mulled Cider- Along the same lines of Hot Apple Cider but less vivid, more of a dusty scent and creamed out with a drop of vanilla. I prefer Hot Apple Cider but this is nice too. Cozy Nights- Another cider based scent but deeper and darker. Cozy Nights has an element of amber and patchouli depth. Still very much cider in the forefront but noir. All Hallows Eve- A brew of mulled grapefruit, citrus, vanilla and spices. There is a spooky depth here of aged cinnamon and nightshade. The hollow of an old tree. Something lurking in the depths. Hocus Pocus- Magical and vibrant. Cinnamon, bergamot, black tea, jasmine and pathcouli concoct a potion full of citrus and jasmine allure with black tea and patchouli mystery. There is almost a cinnamon and lavender suggest that reminds me of the spiced floral notes in Claire Burke. Love. 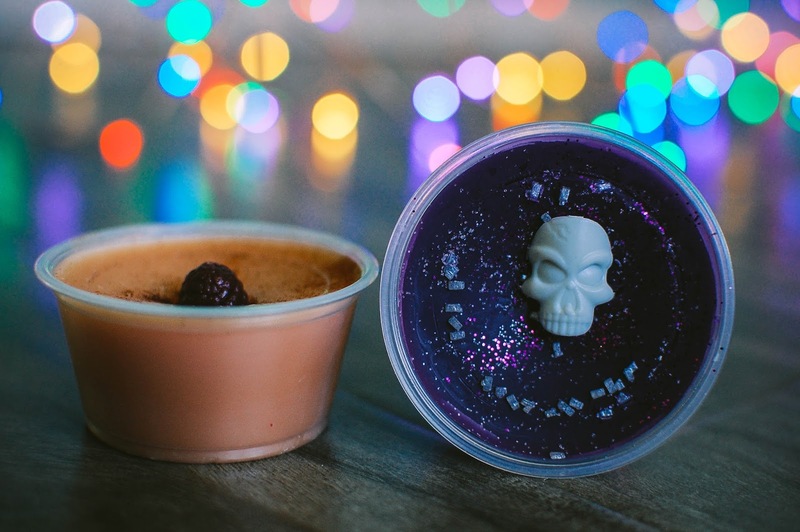 All of the scent shots had some type of decoration, mostly glitter or wax crumbles, but some a little something extra. So cute. 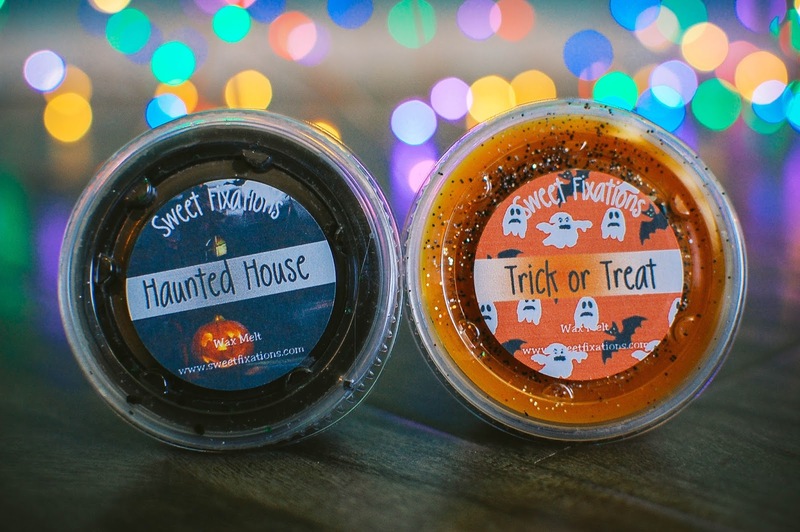 Haunted House- A truly delicious blend of pumpkin and snickerdoodle cookies that I could eat. It has the richness of honeyed gingerbread. An excellent bakery blend. 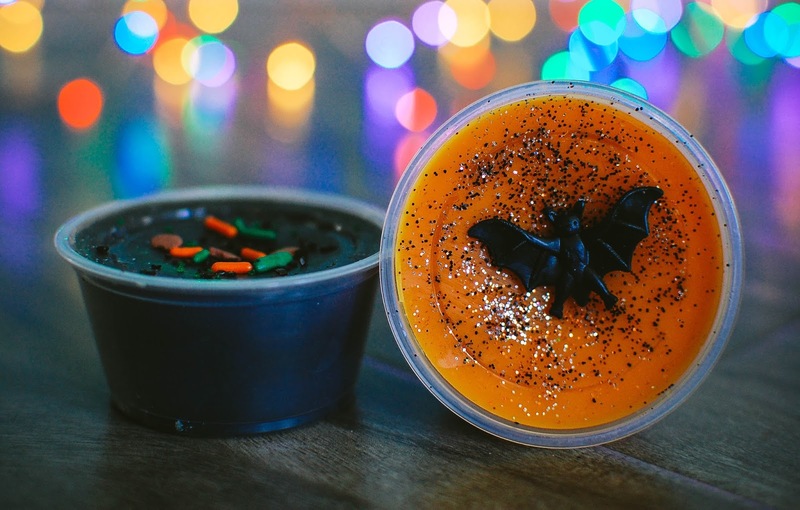 Trick or Treat- A complex blend of pumpkin, apples, berries, oranges, cinnamon, vanilla and sugarcane. The sugar cane gives a molasses edge and the berries and citrus keeps this from being a traditional pumpkin and apple spiced scent. 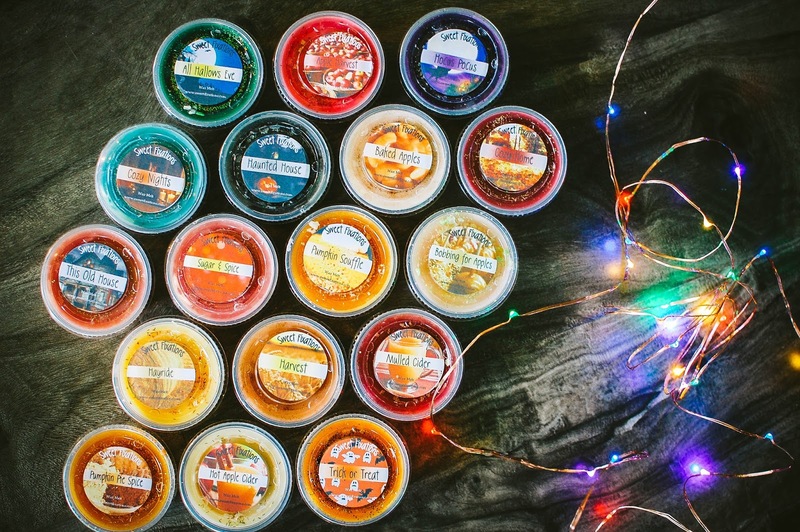 It reminds me of a fall punch or the mixed pillowcase of Red Hots, candy corn and Starburst. Interesting! 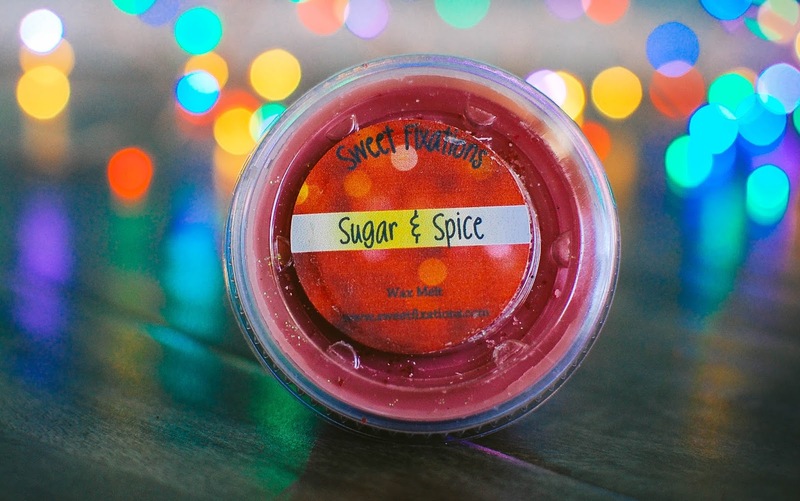 Sugar & Spice- Hot cinnamon and sweet apples. Maybe a touch of red berries. I very much enjoyed it, threw medium in my living room. Green Apple Jolly Ranchers- General candy sweetness with a little tart tone but there is another not in there that I don't really care for, almost a plumeria or sweet pea cloying scent that does not quite go with the green apple. 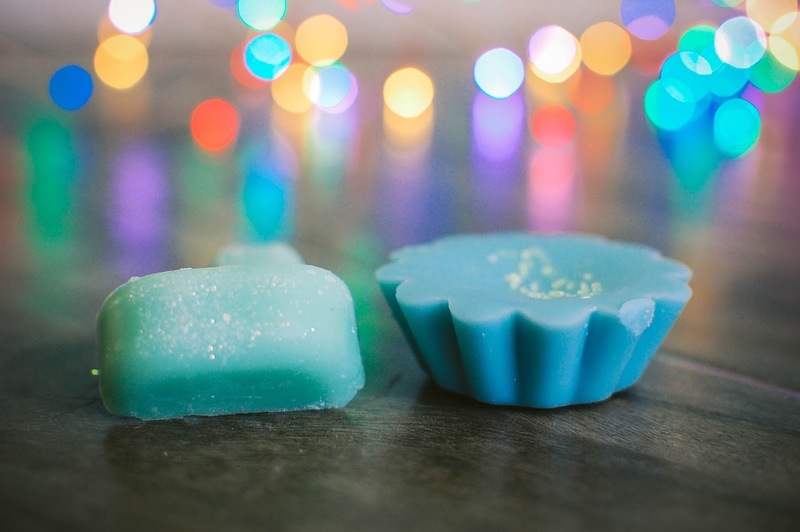 Ocean Mist- Fresh ocean breeze and salty sea foam. Just a hint of sunscreen. Very nice. Overall, I am happy with my Sweet Fixations order and would go back to repurchase some of my favorites over again. 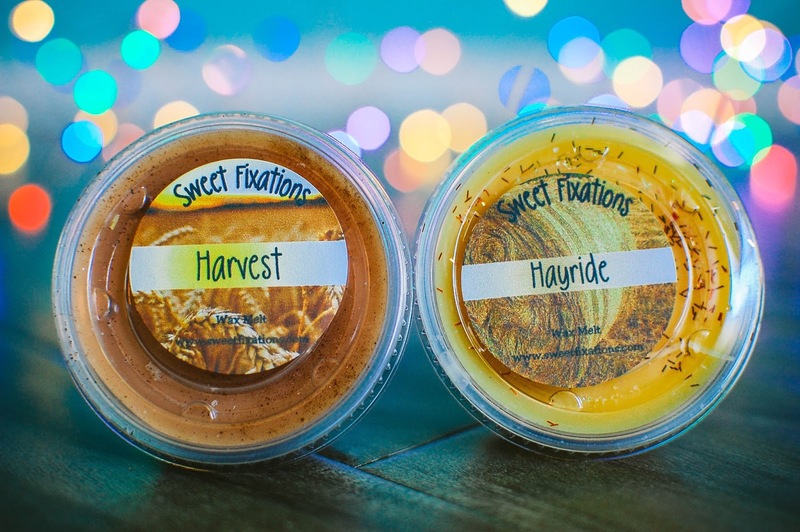 Have you tried Sweet Fixations? See any you would like to try? We got quite a few of the same ones. 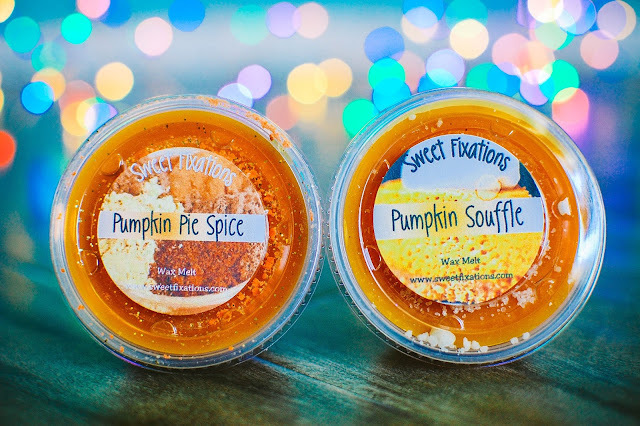 I love Sweet Fixations and she is my go-to for fall scents. If she'd just get a decent spiced cranberry, I probably wouldn't need to go anywhere else. That, my dear friend, is because I totally copied you. I could see how you could just stick with SF for your fall needs. But she does need to up her cranberry game. Lol!! I do like her Cranberry Cobbler but it's just not the same as a regular spiced cranberry. I'm anxious to see what new scents she adds after the discussion on her FB page. I'm definitely going back for another order now that I know she has the scent commonly known as Country Bumpkin! I like Country Bumpkin! You gave me my first one in a Kim tart. I want to make some weathered crow for you too but I just am not having much wax formula luck. Boo.